A concentrated biodegradable liquid cleanser which penetrates and emulsifies dirt and grease, releasing it from the surface. Regular Maintenance: dilute 30-50 ml per 5 litres of water. 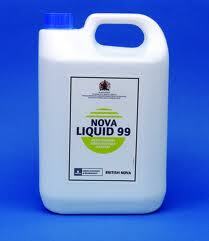 Heavy Duty Cleaning: dilute 100-350ml per 5 litres of water. Spray or wipe solution onto surface and allow it to soften the dirt. Wipe clean, rinse off.